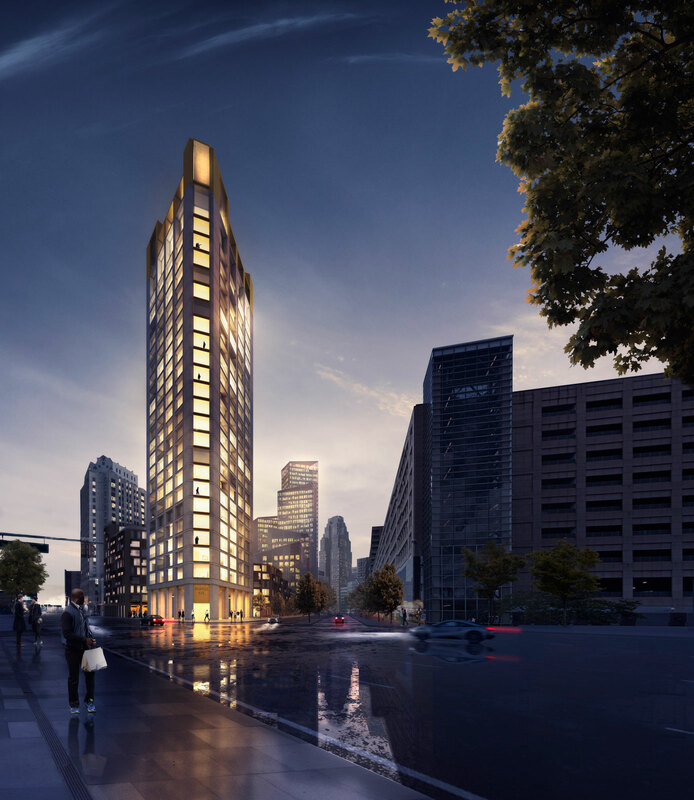 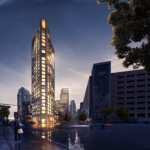 Plans have been announced for the first U.S. project by Denmark-based Schmidt Hammer Lassen. 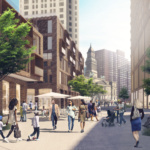 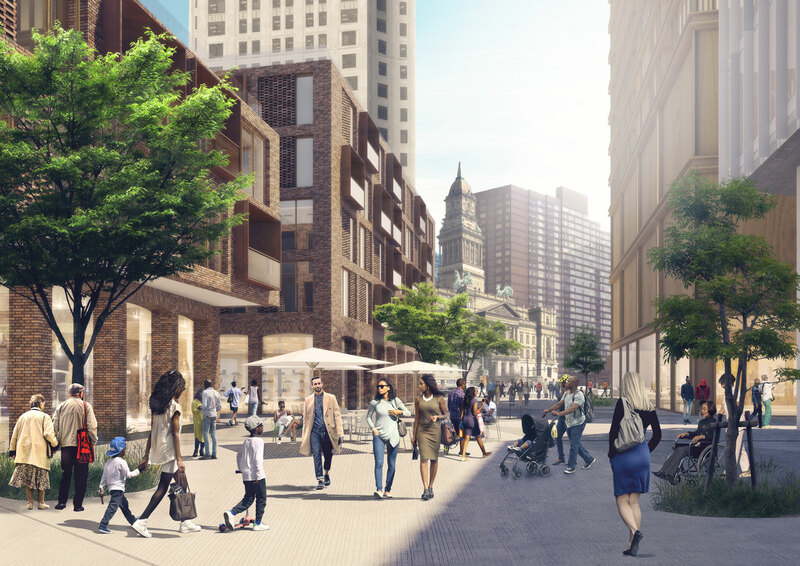 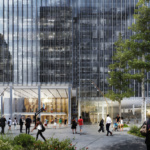 Monroe Block will bring over 1 million square feet of office space, retail, residential, and public space to downtown Detroit at the confluence of Cadillac Square, Camus Martius, Library Square, and Woodward Avenue. The development will be one of the largest developments the city has seen in decades. 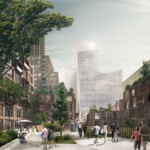 Bedrock Detroit is acting as developer for the project while Detroit-based Neumann/Smith Architecture is the architect of record. 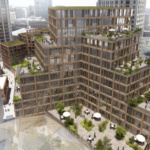 Bath, England–based engineers Buro Happold and Copenhagen-based landscape architects SLA are also part of the team. 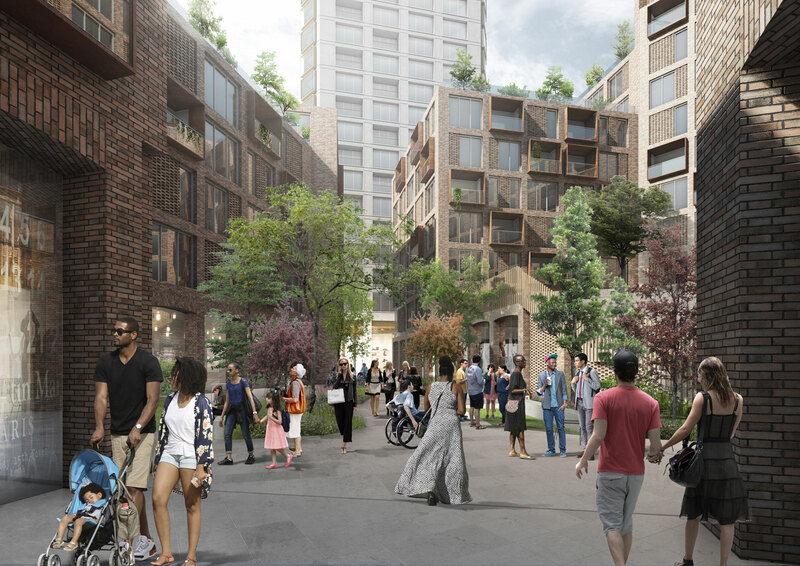 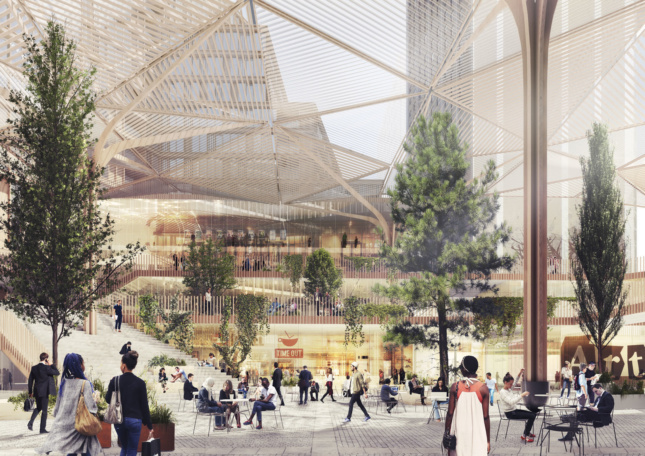 Along with 24-hour public plazas and green spaces, the development planned to include grocery stores and food markets, entertainment and sport facilities, and possibly exhibition and performance spaces. 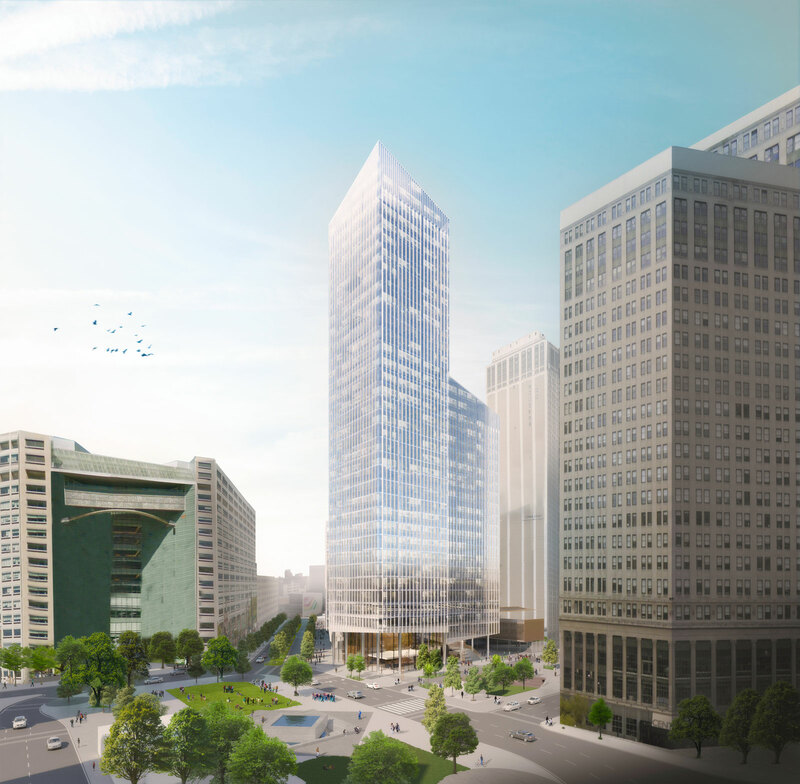 Along with the office space, the project will also include 480 residential units. 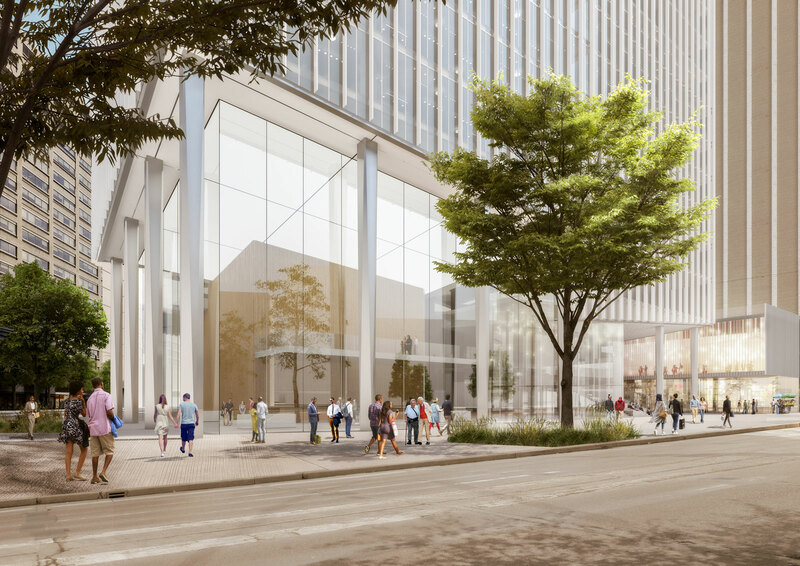 The announcement follows closely on the heels of the proposed 52-story SHoP-designed tower along Woodward Avenue. 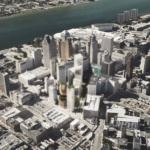 Both projects are being developed by Bedrock, a firm that plays a large role in nearly $5.5 billion of ongoing development in the city. 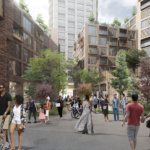 While Schmidt Hammer Lassen has never built in the United States, it has projects in Canada, as well as across northern Europe and eastern Asia. 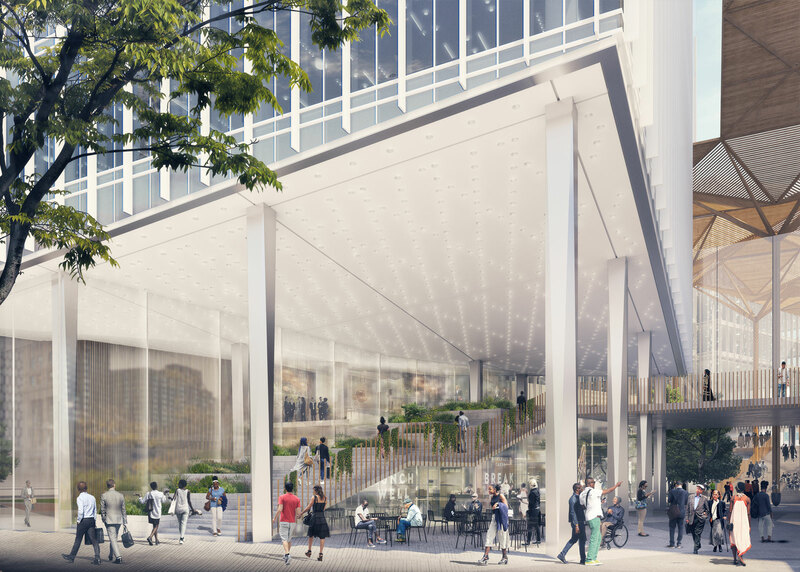 The firm’s Halifax Central Library, in Nova Scotia, Canada recently won the Governor General Medal in Architecture of Canada. 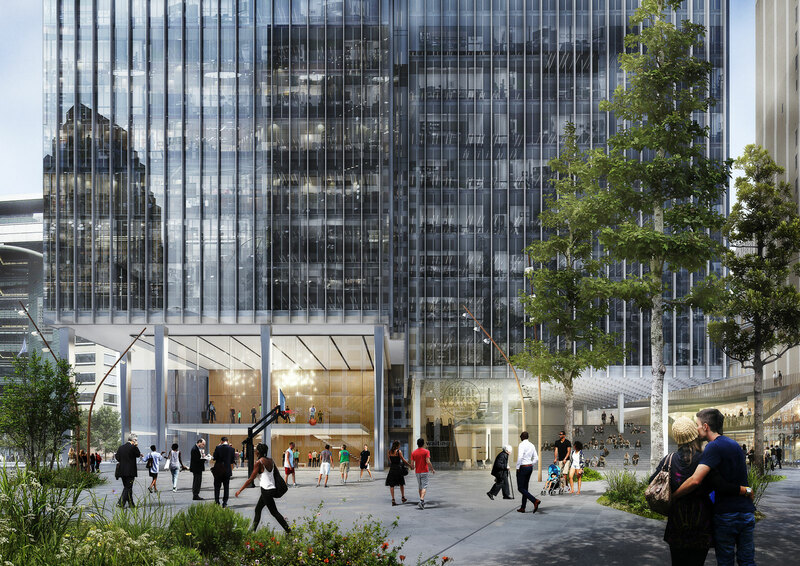 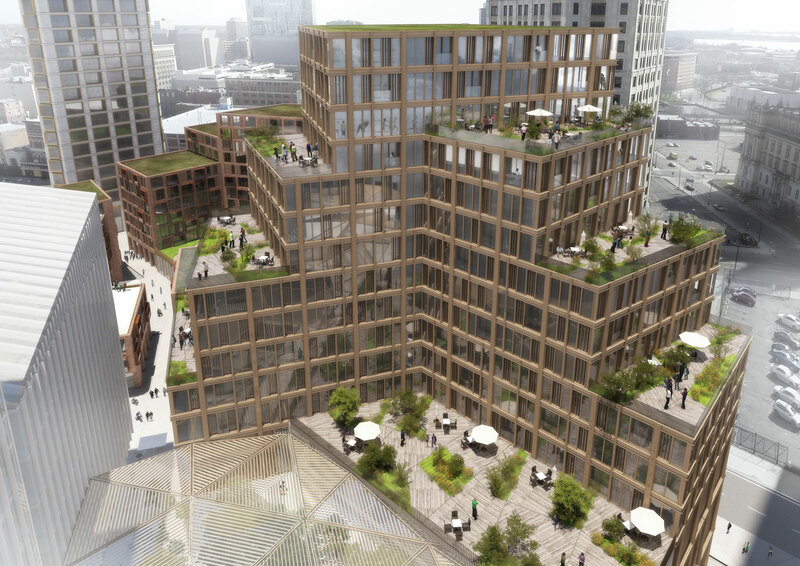 “Our Scandinavian heritage has a strong influence on the way we approach city building on this scale. We always try to think urbanism, city space and the built environment in that order,” added Ahlmark.